It’s easy to assume that you can edit your book yourself. But, working with a professional editor can make your book infinitely better. A great book editor can help you at any stage of your writing process, from simply planning your book down to the final copy edits. 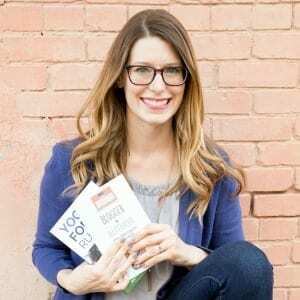 If you’re curious about what it’s like working with a book editor or whether hiring an editor is really worth it, you’ll love this interview with professional editor Amy Scott! You’ll learn some great tips for editing your own book, and why you should consider hiring an editor to help you out with your book. Amy Scott quit her office job to take a solo round-the-world trip in 2004 and never looked back. She now keeps a home base in Buenos Aires while she travels the world with her Argentine husband. Through Nomad Editorial, she offers editing services to help nonfiction writers finish their books. She’s also the founder of Nomadtopia, a hub of information, inspiration, community, and support for living a location-independent life. Learn why you should hire an editor for your book with @nomadamyscott on the @bloggertoauthor podcast! Not sure if you’re ready to hire an editor? What do you need to do to find the right editor for you and your book? Click here to get Amy’s free guide, “10 Essential Questions to Ask Before You Hire an Editor”!